Now that we’ve convinced you to take a chance and submit an abstract, here are a few pointers to help make sure your session is approved! 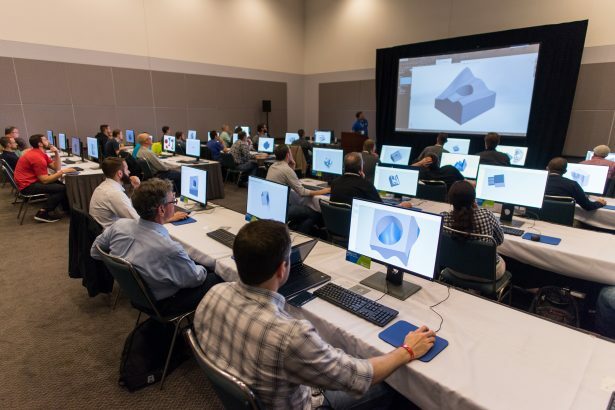 One of the questions we ask when you fill out your abstract form is: “Have you ever presented at a SOLIDWORKS User Group meeting?”. Any presentation that has been seen by user group members gets special consideration. Local user group meetings are a great way to practice, refine, and get input on your presentation. If you’re not yet a member of a local user group, check the SWUGN website for one in your area. There are hundreds of abstracts submitted each year, and we look at each and every one of them. But sometimes a catchy title will draw immediate attention to yours. A previous year’s submissions came through with the words “duct tape” and “bailing wire” – and straight to the top it went. You would be amazed at the number of proposals we receive that have incomplete information. There are a lot of boxes to fill out, but it’s all critical information. Remember – your proposal will be seen by a bunch of folks that may or may not know that you’re the best – use the submission form to convince them. Nothing frustrates SOLIDWORKS World attendees like sitting in on a so-called advanced session that isn’t so advanced. Make sure that the presentation level you have indicated is accurate. The SOLIDWORKS Community is full of past and present SOLIDWORKS World speakers, and they’re easy to find. Use the SOLIDWORKS Discussion Forums or your favorite SOLIDWORKS information outlet to ask questions of former presenters. I know that most of them will be glad to help. It’s not too late to get started! We are looking at and approving sessions now! There’s usually room for late entries, but you never know. Better safe than sorry – submit your abstract today! My official title is Senior User Advocacy & SolidWorks User Groups - but most people just call me "The User Group Guy". I've been a SolidWorks user since 1997, and was one of the founding members of the SWUGN Committee. Since starting the Central Texas SolidWorks User Group in 1999, my career path has led me to DS SolidWorks and a dream job supporting the SolidWorks User Group Network worldwide.